The expression, “This is going to hurt me more than you,” especially applies when we take our children to the dentist. 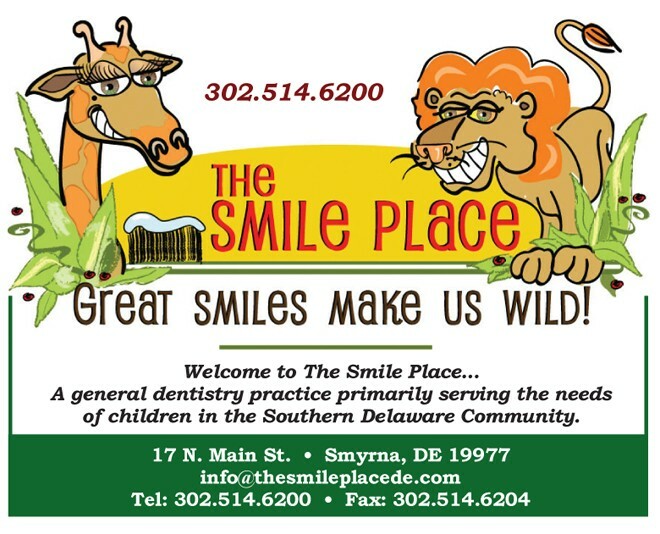 But The Smile Place at 17 N. Main Street, Smyrna, which serves the primary needs of children in Southern Delaware, goes a long way to alleviate the discomfort of children and parents alike. The first thing children see when they walk into The Smile Place are characters on the wallpaper, stuffed animals on the counter or hanging from the ceiling, a waiting room with an aquarium and a TV with never-ending cartoons, and even an arcade room. The staff wear black slacks and tops that highlight child-friendly additions that might include a silver tiara, cat ears, tutus, bug-like antennas, Hawaiian leis, and maybe even fairy wings. The 16-person staff includes two dentists, dental assistants, hygienists and patient coordinators who treat about 60 children daily. Kind of like a day care where you get your teeth cleaned. You can’t come into The Smile Place without smiling. Dr. Grace Liu, whose staff, patients and parents know as “Dr. Grace,” took over the practice in July 2015. “I learned how to work with children and the importance of incorporating entertainment with expertise,” she said. With her experience as a Sunday school teacher, it didn’t take Dr. Grace long to connect with her patients, 98 percent of whom are Medicaid eligible. “This practice is also my mission. Some of our patients are from single family homes and foster homes,” she said. and even martial arts for kids. Their day begins with a morning huddle that includes an update of patient schedules, a morning prayer and inspirational reading and a “Joy, Joy, Joy” song ending with a “Do it now!” chant. But her practice isn’t confined to their office. 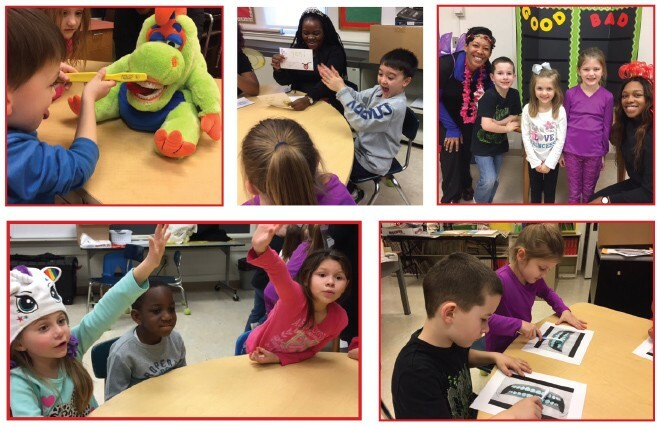 The Smile Place staff visits local schools for one-hour sessions designed to capture the attention of students from 1 to 20 and cover the basics of good dental health, including the importance of flossing and brushing and the effects of good food vs. bad food on the teeth. They use visual aids and trivia games as teaching tools to engage students. It doesn’t stop there. Students involved in athletics can benefit from custom designed mouth protectors as part of their treatment regimen. of Dentistry. She continued her education through post-graduate studies at Columbia University, the Las Vegas Institute for Advanced Studies in Nevada and the Academy of Dentistry. She is also a member of the Delaware State Dental Society, American Dental Association, and the Academy of General Dentistry. ← Previous Story Are Your Legs Ready For Summer? ?